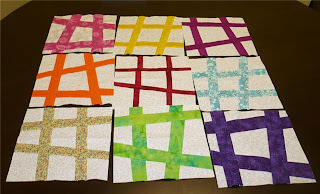 here are my 9 blocks. The blue one is much more vivid than it looks! Good luck to everyone tomorrow but I do hope I win! Hehe!! !